Medicare Part D (sometimes called PDP) adds prescription coverage to one’s Medicare coverage. This is available when you first enroll in Medicare and/or when you lose credible prescription coverage (such as employer group plan). If you do not enroll in a Medicare Part D plan when initially eligible, a penalty will be applied to the premium. The longer the delay, the higher the penalty. Medicare Part D is part of most Medicare Advantage plans (Part C), but they can be purchased separately if you purchase a Medicare Supplement plan. Co-pays for generic and brand name prescriptions and coinsurance for specialty medications. Discounts and some co-pays may apply during the coverage gap (donut hole) and during the catastrophic period. Formularies, which are lists of the drugs covered under a plan. A Pharmacy Network for you to choose from as well as mail order pharmacy services. There is an annual enrollment period each year of October 15th to December 7th if you wish to make plan changes. Still have questions about Medicare Part D? 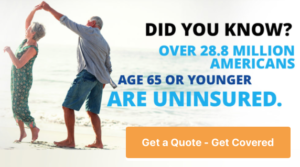 Contact one of the Mair Agency Medicare Consultants today.